Fort Mason Center for Arts & Culture (FMCAC) is a nonprofit operating within a Historic Landmark District along the northern waterfront of the San Francisco Bay. Part of the Golden Gate National Recreation Area, FMCAC hosts an ever-evolving rotation of artistic programming for over 1.2 million annual visitors that includes theater and dance performances, art installations, as well as educational and cultural classes. As part of Fort Mason Center for Arts & Culture’s commitment to supporting San Francisco’s artistic community, FMCAC provides approximately $2.5 million in annual grants to local arts organizations. These grants allow groups to produce diverse and innovative works at the historic campus. In addition to the thousands of events that occur each year on campus, FMCAC hosts nearly two dozen nonprofit and arts organizations as permanent residents. These residents receive annual support from FMCAC, allowing them to focus on producing original artistic programming. Current residents include the Pulitzer Prize winning Magic Theatre, City College’s Fort Mason Art Campus, BATS Improv, the SFMOMA Artists Gallery and the internationally acclaimed Greens Restaurant. 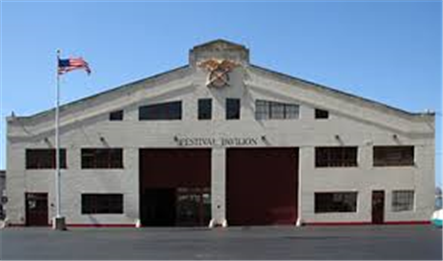 A pioneer in the reuse of military bases, Fort Mason Center for Arts & Culture has been honored by the California Preservation Foundation for its efforts preserving the historic U.S. Army San Francisco Port of Embarkation. Self_Less is a new musical work by Edward Schocker and The Crossing Ensemble that examines our "sense of self" while questioning the uniformity of these perceived feelings. Incorporating live music from an cross-cultural music ensemble, projected abstract images and pre-recorded audio of stories from people who have had unique neuropsychological experiences (such as meditative states of being, out-of-body or near-death experiences, dementia and other experiences of separating the self from the body), Self_Less' mission is to create an artistic work that doesn't judge or try to explain these conditions, but allows us as audience to hear the reflections of people who experience these phenomena.